Thick sliced French toast, stuffed with sweetened strawberries, topped off with strawberries and maple syrup. 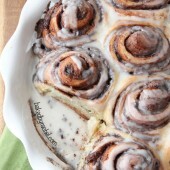 A perfect dish for breakfast or brunch! It felt like we were the last ones to see leaves this season. Seriously, everywhere we drove, even a town or two over, all had leaves! Finally they popped out here, seemingly all at once this past week. We went from tiny buds to full on green everywhere. And ever since, it’s been nothing but nasty pollen coating everything in sight. Just sitting outside, you get covered in it. So. Gross. I had to hose down everyone’s feet before going in the house on Saturday. I’m thrilled to have leaves. But I can absolutely do without the pollen. And on top of the pollen, I swear the mosquitos have become immune to bug spray. They’ve been extra vicious! But even with my few complaints, I’m SO glad it’s Spring and finally looking like it. The birds are out, the chipmunks are out, everything is green or flowering and it’s warm (or warmish depending on the day… it is still New England after all). And let’s not forget the longer days. And what’s better than Spring, leaves etc? Breakfast… or brunch. And I could eat it any time of the day. So, breakfast, brunch or “brinner” (but to be fair, I really prefer it called breakfast for dinner… I know I’m picky like that). I’m a huge fan of it anytime of the day. We regularly enjoy a variety of options, switching them up weekly, from eggs to pancakes, waffles and of course French toast! Basic French toast will never look quite as delicious anymore. Not since making this thick sliced strawberry stuffed French toast. So. Good. A pocket of sweet strawberries in every serving of French toast, topped off with even more strawberries and maple syrup. 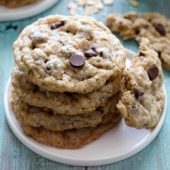 An absolute must make for your next breakfast plans, no matter the time of day! 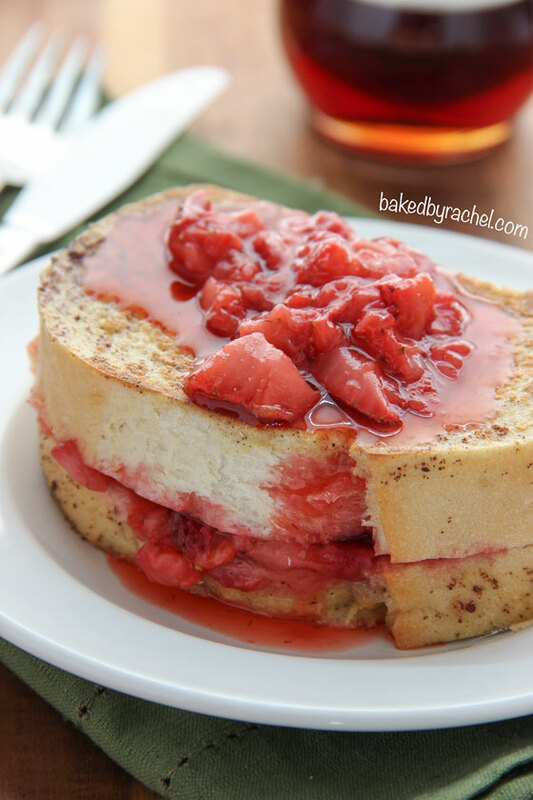 Be sure to add this easy and tasty strawberry stuffed French toast recipe to your plans!! Prepare strawberries: wash and remove stems, cut into 1/2-inch pieces. Combine strawberries with sugar in a small saucepan. Stir occasionally, cooking over medium heat until strawberries are soft and have released juices. Gently mash with a potato masher. If making ahead, transfer to a clean bowl, cover and chill until ready to use. Preheat griddle. If using an electric skillet, preheat to 350°F. Whisk together eggs, heavy cream and cinnamon. Place in a shallow dish. Slice bread into roughly 2-inch slices. Slice down the side to create a pocket in the center, being careful to not go all of the way through. Stuff with strawberry mixture. Dip sides of bread in egg mixture, scraping off excess. Place on preheated griddle, cooking until golden. Flip and continue to cook. Serve immediately with additional strawberry sauce and maple syrup. 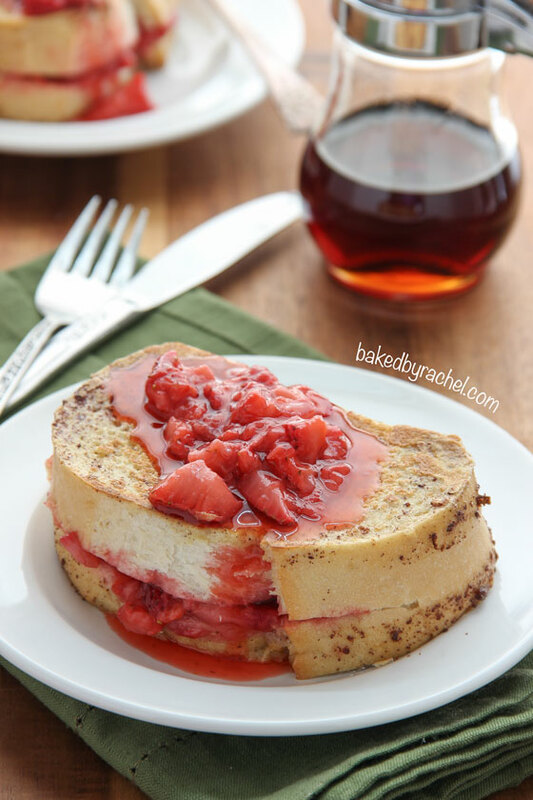 This is a great idea to stuff french toast with strawberries! It has been way too long since I’ve had french toast… and since your version has strawberries it’s practically health food. Making this happen asap. One thing I don’t miss from the south is mosquitos! I think it’s finally spring in Colorado too. Yay! I ordered stuffed french toast on Mother’s Day and have been craving it ever since. Yum! I could absolutely live without the mosquitos!! This is french toast perfection, Rachel. Love these flavors so much!! That strawberry glaze is to die for. I am totally trying these real soon! Such a fresh-flavored version of french toast! I can see how you wouldn’t go back to the regular ol’ french toast after having this…looks amazing! Oh goodness, yes. 1,000 times, yes. I’m so glad you finally have leaves on your trees! We’ve had ours for a few weeks and it’s been so nice, however it did snow here a week ago…what the heck! 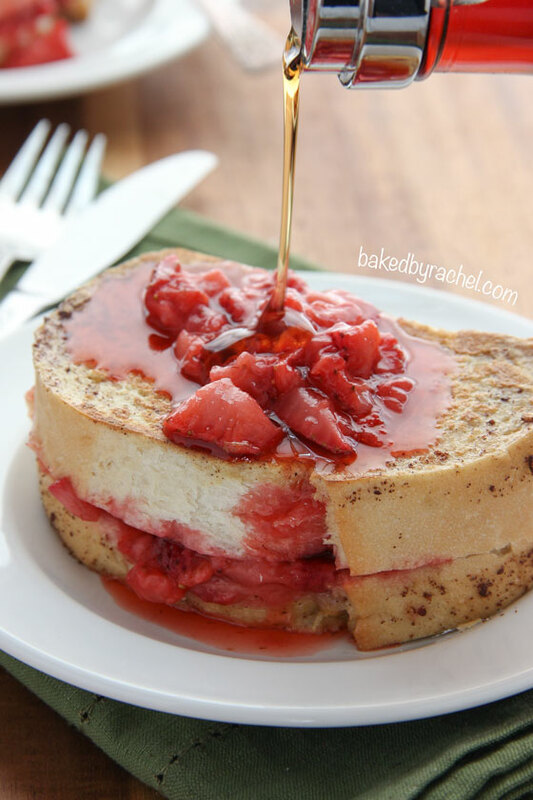 This strawberry stuffed french toast looks so good and is the perfect spring breakfast! This is my kind of breakfast! Oh My! That looks soooo good. 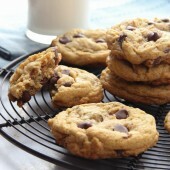 I definitely could dig into a plate of these each morning. Thanks for sharing this scrumptious looking breakfast recipe. This looks amazing. I am both a huge fan of berries and of French toast. So going to try this! oh man, it’s been too long since I’ve had french toast. And stuffed french toast is so good. Perfect bite! It must have been great to finally see those leaves! 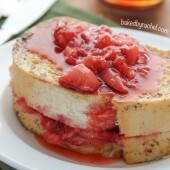 I love strawberries and French toast, simple, but so delicious!